Ampcus is a Business and a Technology consulting and a staff augmentation company headquartered in Chantilly VA 25 miles West of Washington DC. For a decade we have been supporting various fortune 1000 corporations and federal agencies on various mission critical projects of theirs. Our mission is todevelop and deliver innovative and effective workforce solutions that make a difference in the life of our customers and employees. Ampcus is one of the very few women and minority owned company who has all the process certifications required in this field. Ampcus is an ISO 9001:2008; ISO 27001:2005; ISO 20000:2005; and SEI CMMi Level 3 certified Company. Ampcus has been growing at a rate of 40% and maintain high employee retention of over 94%. Have you always been an entrepreneur? If not, what, or who, inspired you to take this leap? I think Entrepreneurship is imbedded in me. I did work with a small women owned business and as an employee I would work as though it was my own company. I was also recognized by my employer for that. How are you engaged in your community (or state or national scene) in philanthropic or political causes? Supporting various non profit organizations like WBENC, WPEO, USPAACC , CRMSDC( Co-chairs and Presenting Sponsors) and sponsoring various events of theirs to promote other Women owned business , small business and minority owned business. What value/resources has WIPP brought you (training or education, member or political connections/access, awareness of policies that affect your business and its growth, etc.) that have been helpful to you? WIPP has helped us a lot as we get access to lot of training material, get access to political members, webinars have always helped us. Ann is the Founder and CEO of Ampcus Inc, a technology savvy entrepreneur with more than 10 years of contribution towards the design and development of software services and delivery of Information Technology services. 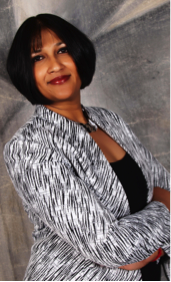 Under her leadership she has grown Ampcus Inc into a fast growing consulting and professional services firm. She has been awarded as the top Asian American owned businesses by USPAACC for 2009, 2010, 2011, 2012, 2013 and 2014 and 50 fastest growing women owned businesses in the CONUS by the Women Presidents Organization for the years 2010, 2011, 2012, 2013 and 2014, 2015. Ampcus Inc made the Inc500/5000 list for the years 2010, 2011, 2012, 2013 and 2014. Ampcus Inc has also been recognized as the Top diversity business for the years 2010, 2011, 2012, 2013 and 2014. She has helped fortune 2000 companies with their enterprise-wide customized solutions. She reports to the board and drives the company to attain its vision of being one of the largest Professional services companies globally. She has been involved in executing a consultative methodology to define, qualify, and quantify the clients’ targeted and strategic IT and business objectives and from this developed solutions to proactively address current and evolving needs and projects. In 2014 Ann was awarded Women in Technology Entrepreneur of the year by Women in Technology and in 2015 Ampcus was awarded the growth award by Astra WBENC. They were also awarded Washington Technology Fast 50. Ann holds her Bachelor’s and Master’s degrees in business and commercial management from India. She has also completed an executive management program from Robins School of Business, University of Richmond. This entry was posted in Leadership and tagged american cancer society, Ampcus Inc, Anjali Ramakumaran, board, cancer, certifications, Chantilly, committee, community, education, entrepreneur, growth, minority, organizations, Small Business, technology, Washington, WIPP, women by WIPP. Bookmark the permalink.